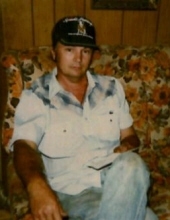 George Milton Hudspeth, 72, (born November 2, 1946) of Corrigan, Texas passed away on April 4, 2019 in Shreveport, Louisiana. Visitation will be held on Monday, April 8, 2019 at 2:00 pm in the Carmona Community Church of Carmona, Texas with a funeral service beginning at 3:00 pm. Interment will follow in the Carmona Cemetery. George was an independent loner who preferred to live alone and do things his way. Spending his early years at various odd jobs. his true passion was playing guitar and writing songs. You could always recognize him around town by his black hat and his walking cane. He will be missed by all his friends and family. Those left to cherish his memory include his brother, Jerry Hudspeth and wife Betty of Corrigan, Texas; 2 sisters: Billie Jean Pritchett of Lumberton, Texas and Judy Ann Clark of Kountze, Texas as well as numerous, nieces, nephews, and other relatives. "Email Address" would like to share the life celebration of George Milton Hudspeth. Click on the "link" to go to share a favorite memory or leave a condolence message for the family.